My love for Jeff Nichols is beginning to know bounds, I’m sad to say, as his newest film Loving follows the same path as his last film Midnight Special, down the road to disappointment. Both films are full of stars, full of promise, full of drama, but also full of holes, as they fail to live up to the expectations set by two other, much stronger of his films, Take Shelter and Mud. Those early successes paved the way for Nichols’ growing genius, but his latest attempts just haven’t delivered in the way I had hoped. For Midnight Special, the problem was a lack of control of the pace of the action, for Loving the problem was much more simple; a lack of action. Nichols took a true and important story, brought it to life, utilized a talented cast, but just couldn’t infuse enough energy into what quickly became a solid but solidly boring film. 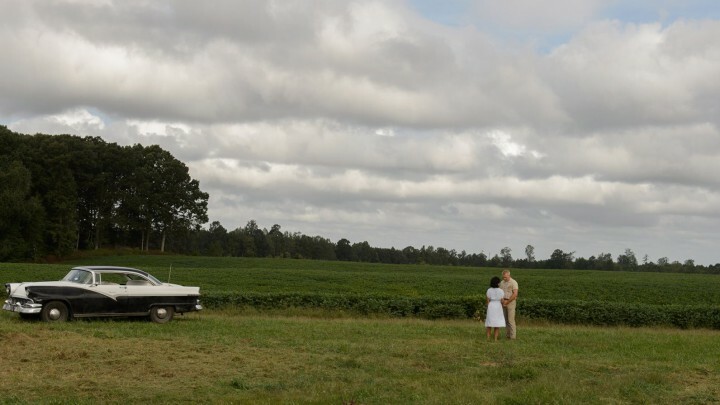 The marriage of Richard and Mildred Loving, a couple from rural Virginia, would send shock waves through the nation, vibrations that are still felt to this very day. The Lovings, an interracial man and woman, drove to Washington D.C. to get their marriage license, knowing that their home state wouldn’t allow a white man to marry, cohabitate, and raise children with a black woman. Preparing to settle down to a quite, peaceful existence in the country and expecting their first child, the Lovings were ripped from their home when their marriage was discovered. Forced to choose between jail time and leaving Virginia, they would flee to D.C., have three children, begin to raise their family, but could never forget the home they left behind and the audacity of a law that said they couldn’t be together. When the ACLU heard of their situation, the Supreme Court would eventually hear their case, starting a chain reaction of change. That Loving has something special to say cannot be denied. It’s a message that resonates across time and would be an evil done to the world if it were to be forgotten. Marriage Equality among the races led to Marriage Equality among the sexes, a relevant topic today, and also a prejudice that, although defeated, will never fully disappear. We need to be reminded that a relatively short time ago in our country a white person could not marry a black person, for no other reason than that ethno-arrogant and obtusely stupid lawmakers thought God had placed people of different colors around the globe as he saw fit, and never the twain shall meet. The idea that we learn history to stop it from repeating itself is at times unsuccessful, but that doesn’t mean that it’s an unworthy attempt, a fact that this film serves to remind us of. Now, to the movie, which I didn’t enjoy half as much as I relished the reminder of the true life success that led to so much change, so much good. Nichols must have found this to be an important topic to bring to audiences, as he also wrote the screenplay, and much applause for doing so, many of us are very glad that he did. However, he failed to bring any sort of magic alongside his moral, and the result was a biopic of sorts, a drama at its base, but a slow burn that never leaped into flame. There just wasn’t much to work with here, there wasn’t much that happened, and although we can appreciate that Nichols didn’t pump in fake excitement or manufactured climaxes, audiences can only watch steady emotion for so long before we tire out. 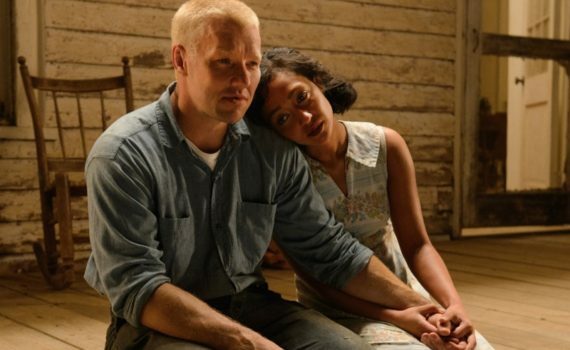 Edgerton and Negga were great as Richard and Mildred Loving, I hope they did the memory of those historic figures justice, but they weren’t anything special either, doing solid jobs instead of memorable ones. The supporting cast I really didn’t enjoy: Michael Shannon’s part was too short, Nick Kroll’s was too cheesy, and I have no idea what that kid from the Dr. Pepper commercial was doing there. All in all, a better idea and lesson than actual film, another Nichols letdown, and I don’t believe an Oscar-winning feature.